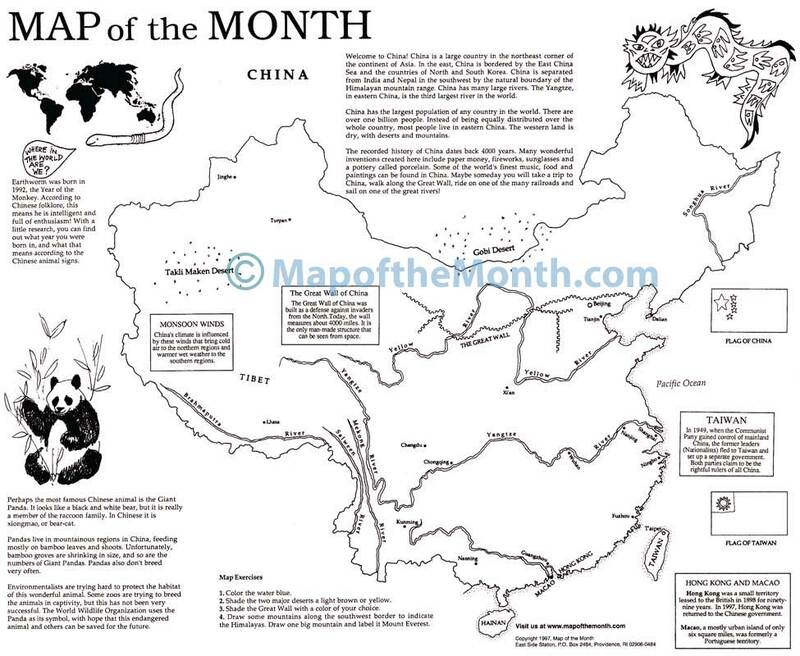 Our CHINA map engages students: use this map to support your studies of this major Asian country. 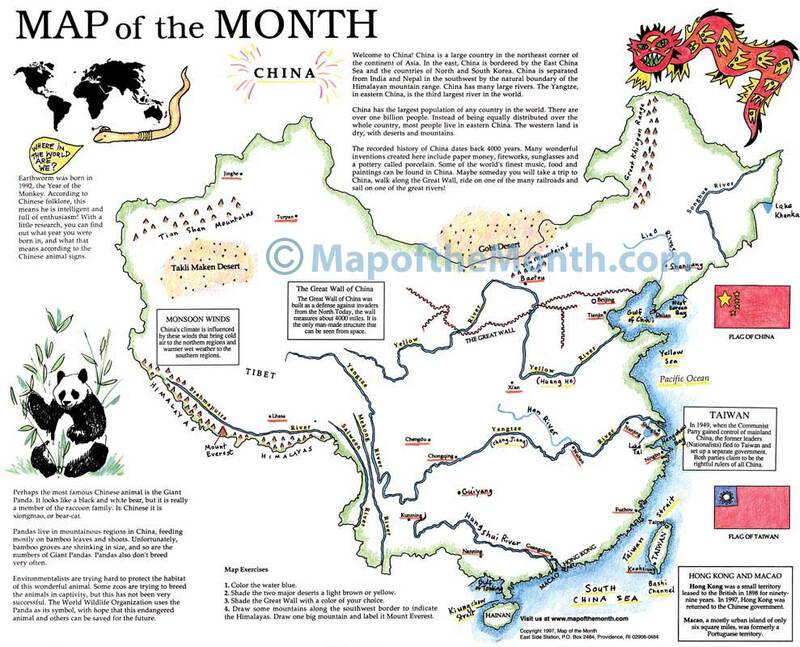 The map shows the Great Wall, rivers and other important geographic features. 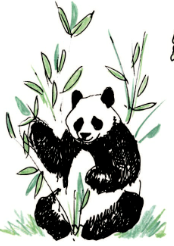 Cultural information and an illustrated feature on Great Pandas. 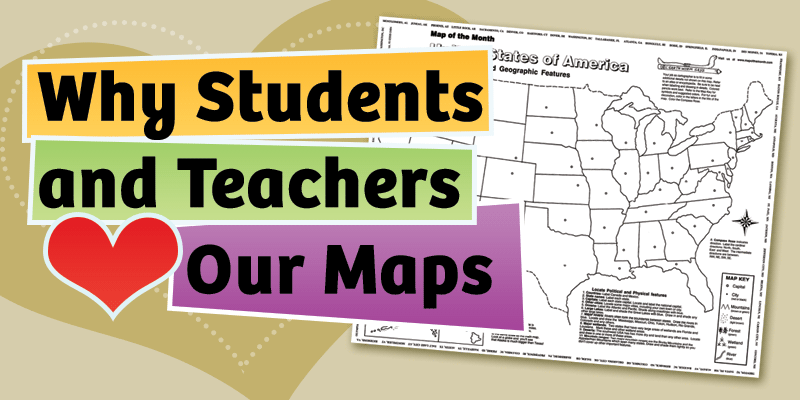 Includes suggested activities for decorating the map. To see China’s position in the Asian continent, as well as neighboring countries, click HERE to see our large hands on map of ASIA! 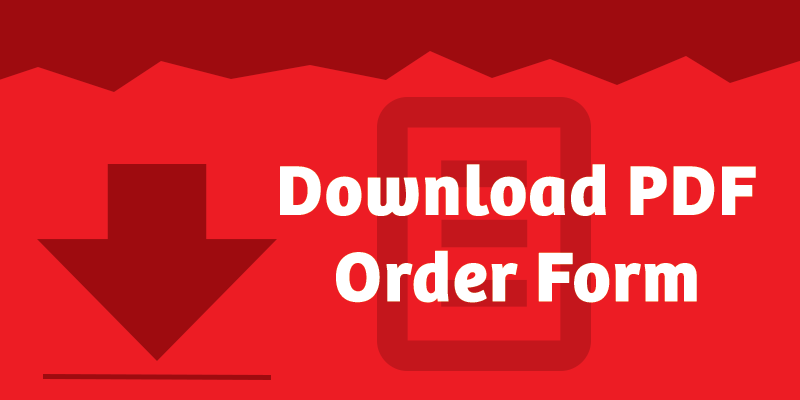 Be the first to review “China Map” Click here to cancel reply.